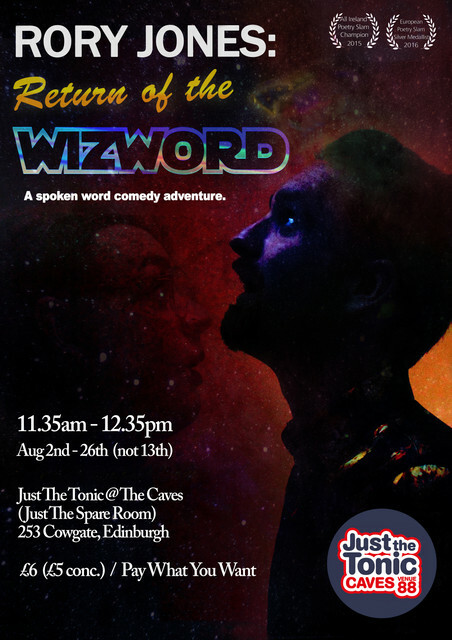 For almost the entire stretch of this month, my show ‘Return of the Wizword’ is happening daily at Just The Tonic @ The Caves, 11.35am-12.35pm. This is part of the Edinburgh Fringe Festival. 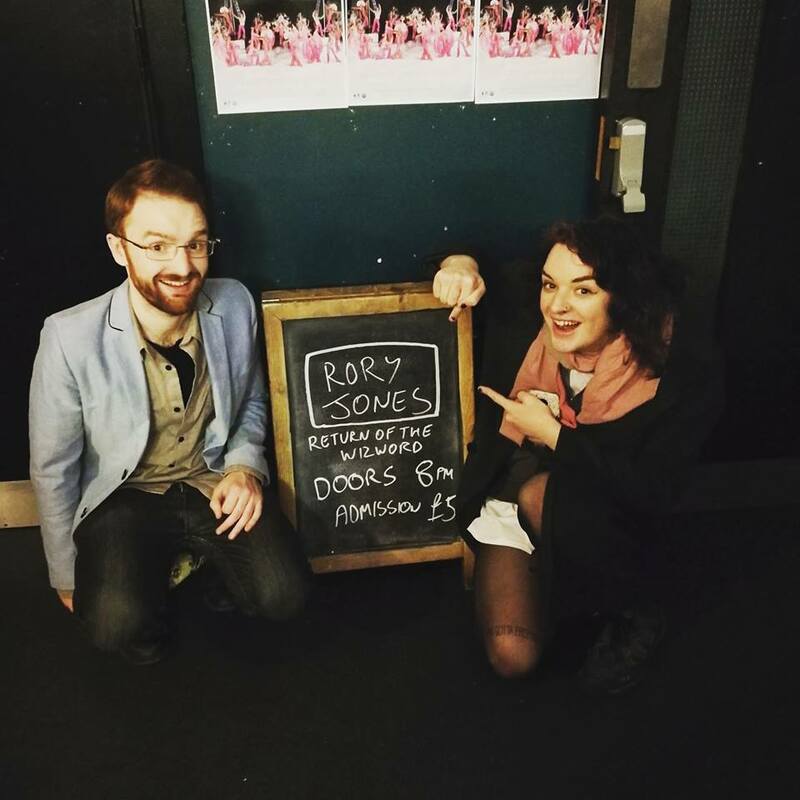 Now I know there’s plenty to do and you’re very busy and important, but why not spare a little hour for your friend Rory, come on down and have a lovely time of it. You can get tickets from the link below or be a free spirit and come to venue and pay what you want. I’ll update you with some news of our adventures as they develop. Just a quick post to let you know I have a new YouTube channel. It’s called Wizword and can be found here. On it you’ll find frivolous bits of bobbery like the below. It’s very important work. I also spent ages making a nice avatar. The videos are fine but that avatar – hot dog it’s good. If only I put that much effort into my poems I might be onto something. Since last we spoke, my show Return of the Wizword has made its first tiptoeing steps into the public world. I’d like to say a big, capitalised THANKS to those who came down for the shows in Blakes of the Hollow in Enniskillen and Black Box in Belfast, especially to those who weren’t socially obligated to do so. 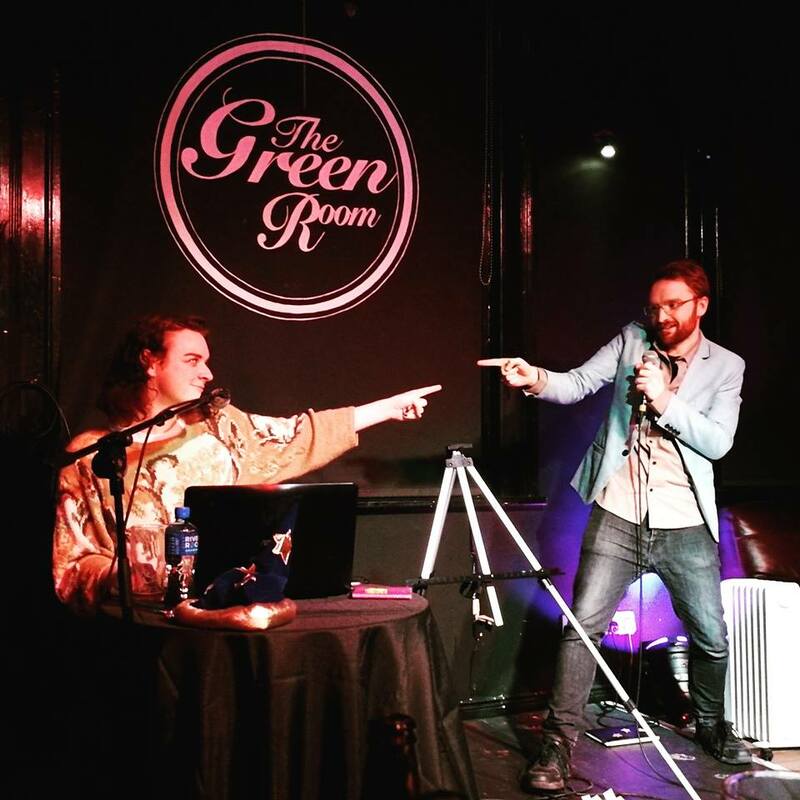 The show’s still developing but I was very pleased with both nights. Making anything is always a war of nagging doubts, so to have some encouragement is very lovely. I’ll be doing a little rejigging here and there but I think the core is good. As a side note, rejig, what a great word. Well as it’s been a while since I last posted (147 days in fact, which seems an obscenely high and vaguely frightening number), I think it’s about bloomin time I kicked this mother into gear. What news. Well, I have moved house. I’ve bought and lost and bought a pair of glasses. I’ve had very lovely times visiting family and festivals, doing poetry gigs, music gigs, sitting down, reading, feeling a bit tired, eating, working, walking, watching Rick and Morty, thinking, talking, being quiet, having emotions, and other, less glamorous things. 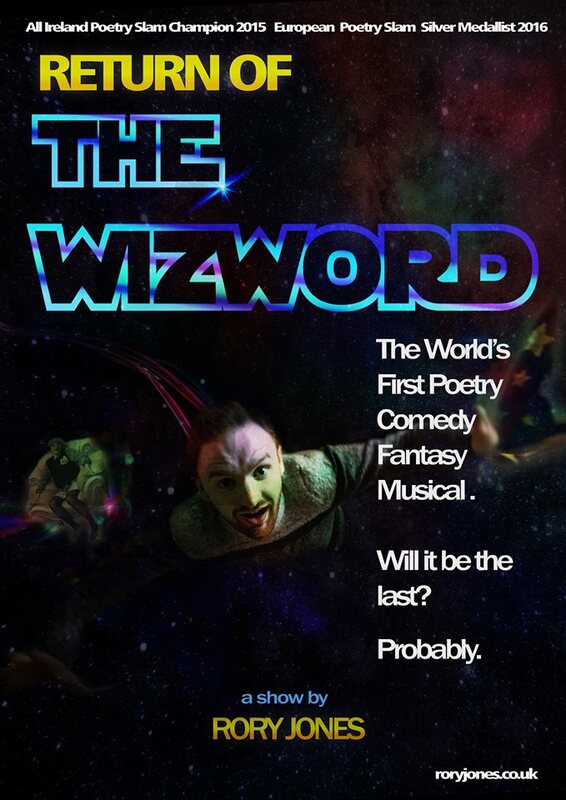 One of my main concerns has been the writing of my show Return of the Wizword, a process that’s been both scary-fun and just plain terrifying. It will be an hour of comedy-poetry-adventure, which I’m sure you’ll love as you have impeccable taste. Either way, it’s happening and that’s that. Below is a teaser poster. I opted for a subtle, understated design. Its first outing will be in Enniskillen in early October. I’ll furnish you with the full deets (that’s details, grandad), when the organisers announce the full programme. They are all a very good time. That’s it for now. Incidentally, if you have Twitter or Instagram and would like to make our worlds that bit more uncomfortably close, the circular icons at the bottom of the page have that power. As it was St Patrick’s Day on Friday (and because I’m ruthlessly relevant) I marked the occasion by dusting off a poem on the man himself. It’s called ‘A Declaration for Padraig’ and you can watch it below. I hadn’t revisited the poem since writing it for the festival in Dublin two years ago, so was a little tentative at first. On inspection though, decided the thing was still fit for human consumption. 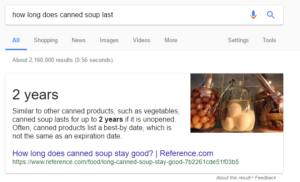 Past its sell-by perhaps, but like a can of soup, still good for 2 years. Perhaps sadly, the poem is probably more relevant this year than in 2015. In fact no less than Irish PM Enda Kenny, echoed the poem’s theme in the White House on Friday. But let’s all remember I was there first. The video quality isn’t great and the audio’s even worse, but I think we can all agree the poetic quality shines through. A good 65% on Rotten Tomatoes. I’ve also uploaded the outtakes in another video for kicks. Well, you’ll never guess what happened. After making a great clamorous noise about this website last month and imploring anyone I knew to visit, a grave error occurred and it vanished entirely. And the world became in that one moment, a little darker. It seems very pretentious of him quote his own poem, but there you go. You have to admire his instant grasp of web hosting issues in any case. Anyway. 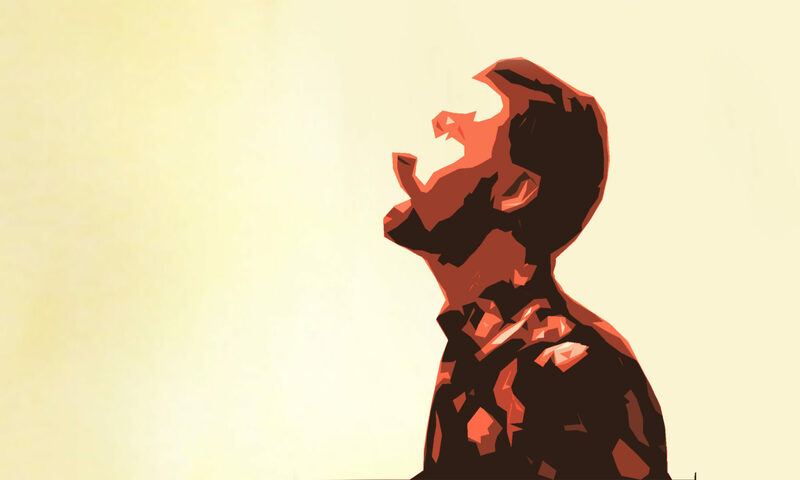 I have toiled to replace the citadel and can present you with this shiny updated site, featuring an even bigger picture of me this time around. Thank you to Digital Dad for doing the behind-the-scene MAGIC that means RJ 2.0 now is safe from casually disappearing. My previous post is now lost in the ether, but to sum up – 2016 was all right, 2017 looks better. Hurrah. 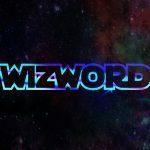 News to follow soon regarding the show I’m currently working on Return of the Wizword. Exciting. That’s it for now, talk soon.